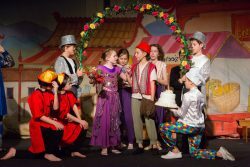 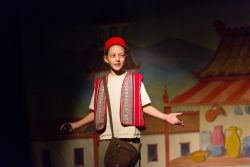 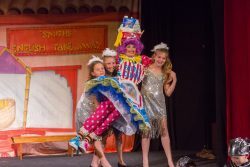 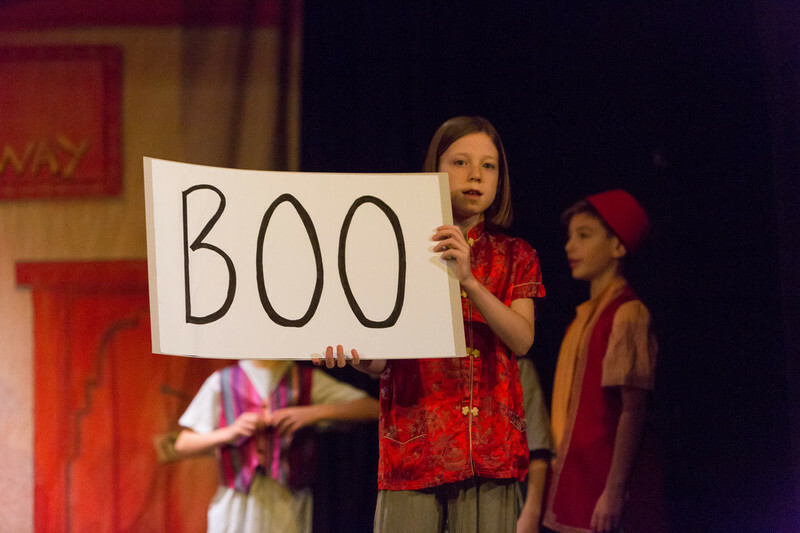 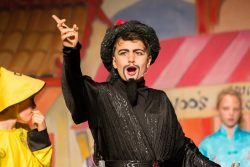 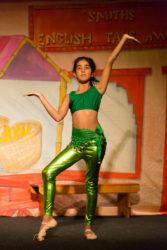 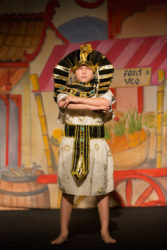 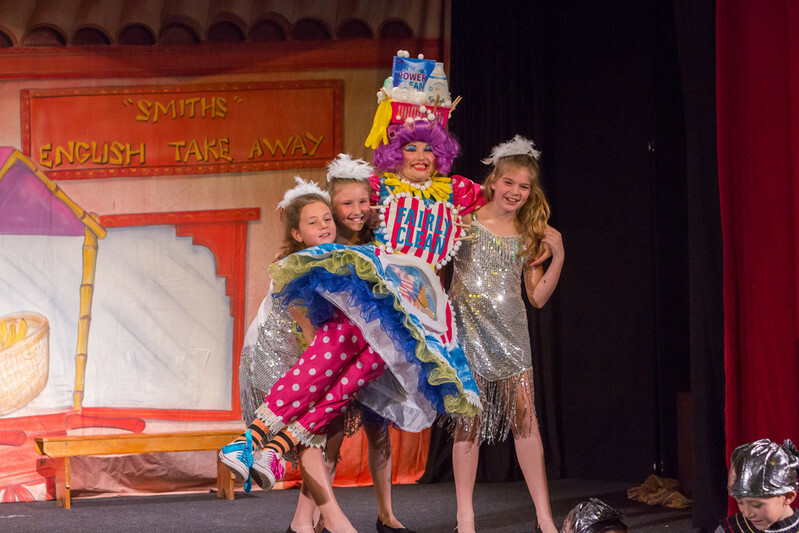 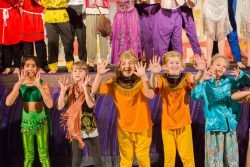 Form 3 entertained fellow pupils and their parents on Monday this week, putting on a spectacular pantomime entitled ‘Aladdin Trouble’. 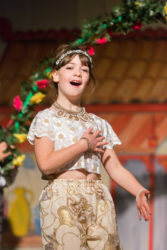 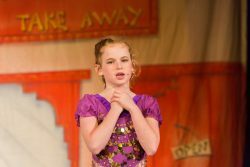 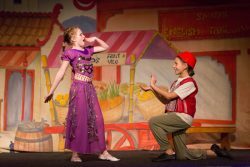 The part of Aladdin was played by Zoe G, who entertained us with her many jokes and spoke of her wish to become an entertainer with her own show, whilst the part of Princess Jasmine was played by Wren H-D, who sang sweetly of her desire to be able to choose her own true love. 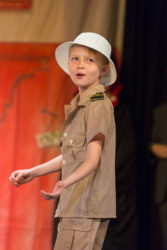 They were supported by a very talented and enthusiastic band of Form 3 actors and a tuneful chorus of singers. 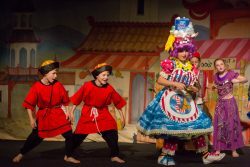 Notable this year for his incredible costume, was Widow Twankey, played flamboyantly by James W, and the evil villain, Abanazer,played by Cameron R, who encountered much hissing and booing, according to tradition. 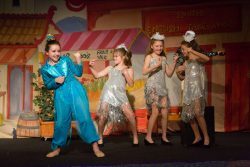 The Genie and her troupe of singers sparkled and shimmied across the stage to help Aladdin, and all ended well, with the ‘baddy’ put firmly in his place, cleaning the village hall! 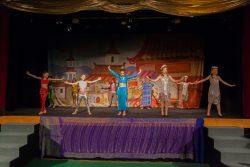 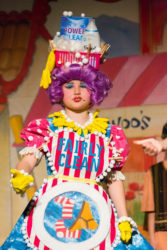 Everyone agreed that their hard work had paid off and all the children thoroughly enjoyed being part of such an exciting and yet traditional pantomime. 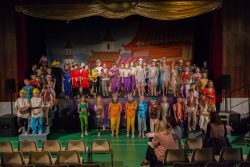 A production of this scale would not be possible without the support of all the staff and in particular to Lita Everett (Drama Director) and Ruth Williams (Musical Director). 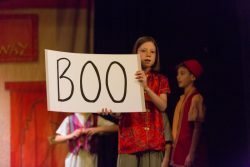 Thanks also to Lita and Liz Turner who were responsible for the wonderful costume and stage design, Marie Ward (piano), Kimblerley Vowles (choreography), Pippa Lock (stage management) and Nick Johnston for the sound and lighting.